What a simple, inexpensive, low-threshold way to tell the other "I see you, you are worthy, I care about you". Asking "how are you?" 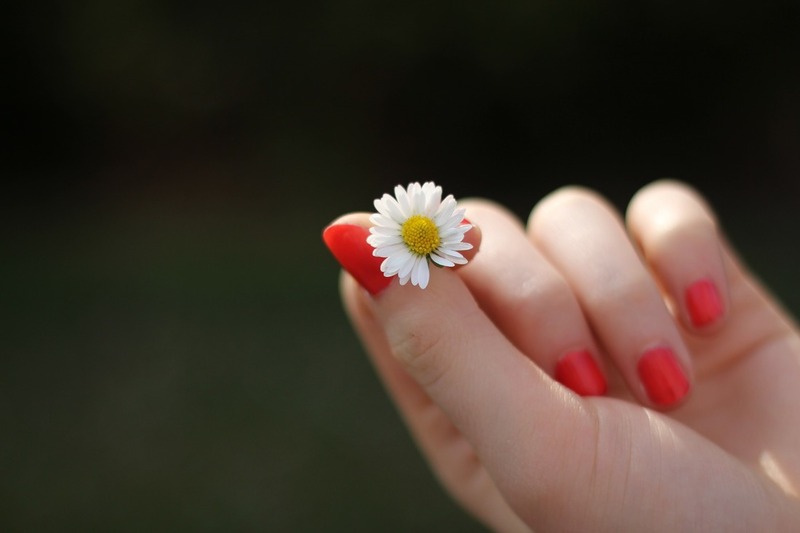 and meaning it, is like a daisy someone presents you with. Simple and without a big fuss. The honest interest is key - separating the question from a strategy. An honest question "How are you?" is a small expression of awareness - and it is linked to divine Love. Love, God, loves man with a deeply nourishing, extraordinary, distinguishing love. This is a fact, which spiritual sense perceives. Jesus knew and explored and taped into this truth continuously, and we can do it, too. Spiritual sense tells us that this fact is felt and realized with an active sense of love. We discover love as we discover that love is a noun and a verb. Being in the CS practice full-time gives me ample opportunity to share something of this love daily - and I feel that in this respect my former work as a university professor asked for the very same task, every day. In consultation hours students would pour out their challenges, frustrations, shortcomings. And I would listen and pray and come up with helpful ideas and supportive answers. I was told more than once that hallways seemed wider and colors brighter after people left the office. This is what divine Love does to all of us. I have been pondering how to put into practice even more love and care every day, and I discovered the powerful "how are you" again. This is because recently a checkroom attendant of a reading room in the State Library of Berlin, which I regularly attend, took me aside and told me how she is looking forward to my visit each week. Because of the warmth and friendliness. "You know", she said, "if you work with people, you notice a lot. " Last year I had learned a lesson on the farmer's market, when I went up to my favorite farmer starting with the first item on my shopping list - when I got stopped in my tracks: "First of all: "Good morning, lady! How are you today?" I paused, excused myself, we chatted and I left enriched and instructed. St. Paul writes: "God can pour on the blessings in astonishing ways so that you’re ready for anything and everything, more than just ready to do what needs to be done. As one psalmist puts it, He throws caution to the winds, giving to the needy in reckless abandon. His right-living, right-giving ways never run out, never wear out. This most generous God who gives seed to the farmer that becomes bread for your meals is more than extravagant with you. He gives you something you can then give away, which grows into full-formed lives, robust in God, wealthy in every way, so that you can be generous in every way, producing with us great praise to God." (2 Corinthians 9: 8-11; The Message). We are not the comment box or advice column of the entire world, not the doormat for anyone who is starting drama in your life just to have something happening in his. We are not meant to be kind of a 24/7 pharmacy for our surrounding, or psychological advisors or mentors to anybody anywhere. I know people who over the decades I know them have never asked me what I am thinking, not even how I am doing. I have been in settings where some people didn't give a tip to a waiter, didn't say "thank you" to a server or an auto mechanic, or a taxi driver. A stewardess told me that a large number of passengers doesn't look up when the tomato juice appears on the folding table in front of them. Many students or patients are grateful beyond a normal expression of thanks - but also many just continue with their lives as their problem is solved. These are observations - and I can see how the project of Christianity, which started with Christ Jesus' extraordinary sacrifice and commitment to teach us love, is unfinished business. Is the heart a well left empty? We can acknowledge how much good, how much gratitude, how much love is already being shed on us. Even if this is only a hint and even if your heart is still aching and an unpaid bill is still on your desk and the broken iPhone case still waiting to be replaced and the pile of washing still staring at you and the job interview still not being prepared as it should be and the boss still not responding to our request - still there is the gentleness of goodness waiting to be felt, the divine resource at hand which reminds you that the burdens of others are equally daunting. And that there is enough Love to meet every need, everywhere. In the old life we might have wrapped ourselves in our worries and our stories like a small bundle and wondered why we were not warm. In the new life we wrap up all mankind in one love because we have been wrapped up by Love. We look into each other's eyes and ask whether we can do something to ease the other's burdens. I have seen healings happen after this central issue had been settled, after the question "How can I be healed?" had been transformed into the question: "How can I love more?". So: How are you today?